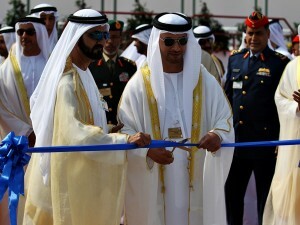 The 15th Dubai Airshow at DWC was officially opened by Sheikh Mohammed bin Rashid Al Maktoum, Vice President and Prime Minister of the UAE and Sheikh Hazza bin Zayed Al Nahyan, Vice Chairman of the Abu Dhabi Executive Council. They took a walking tour around the 645,000 square metre site, pausing to speak with several exhibitors and were accompanied by Sheikh Mohammed bin Zayed Al Nahyan, Crown Prince of Abu Dhabi and Deputy Supreme Commander of the UAE Armed Forces; and Sheikh Hamdan bin Mohammed bin Rashid Al Maktoum, Crown Prince of Dubai. Over 72,500 trade visitors and 1200 exhibitors are expected across the event’s five-day run, representing the entire spectrum of the aerospace industry. 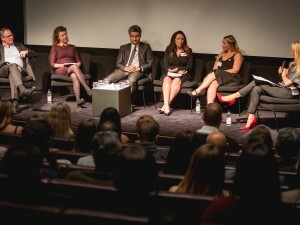 The Department of Culture and Tourism, Abu Dhabi’s UK and Ireland office organised its annual trade roadshow in partnership with Etihad Airways. The team visited Glasgow, Manchester, London and Dublin, showcasing the destination to a total of 330 travel agents. Throughout the roadshow, agents were made aware of all the new exciting offerings in the destination, including the opening of Louvre Abu Dhabi, new hotels under construction and the packed calendar of events the emirate provided, as well as providing attendees with further destination knowledge and advice on selling packages. The UK is the leading European market and the third largest overseas market for Abu Dhabi, with 2017 arrivals (as of September) at 173,103, a 5 per cent increase compared to 2016 figures. Events kicked off in Glasgow and Manchester, where 140 agents met with stakeholders to gain knowledge about Abu Dhabi. 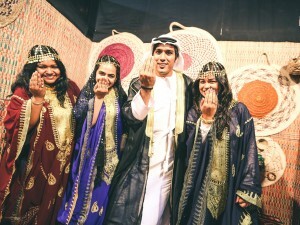 A holiday package to Abu Dhabi was also given out at the event. Held at The Mayfair Hotel in central London, 120 agents attended to network and meet with stakeholders. 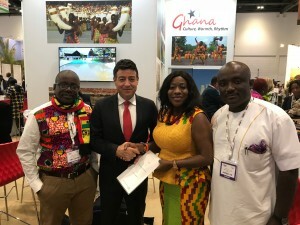 The World Travel Market (WTM) London, a much awaited travel event of the year, brought together the travel fraternity from all over the globe. Key exhibitors from the region this year include Dubai Corporation for Tourism and Commerce Marketing (DTCM), Abu Dhabi Tourism & Culture Authority, Sharjah Commerce & Tourism Development Authority, Saudi Commission for Tourism and National Heritage, Ajman Tourism Development Department, Ras Al Khaimah Tourism Development Authority, Oman Ministry of Tourism and Jordan Tourism Board. This year’s event will give ample opportunities to a range of new travel experiences and disruptive travel services as well. It will introduce some of the key components that industry specialists need to adapt so as to work towards enhancing the experiences of the many new-age travellers and millennials. 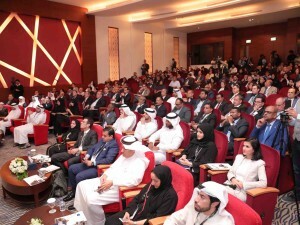 More than 80 conference seminars will take place throughout the three days covering all the key sectors pertinent to the Middle East, including aviation, hotels, wedding and honeymoon, gastronomy, sports tourism, responsible tourism, digital influencers, social media and travel technology. 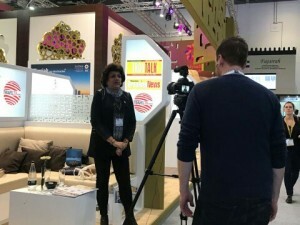 Among other highlights is the 300-seater WTM Inspire Theatre, a taste of ILTM joined by a new Wellness & Spa section on the exhibition floor, WTM Speed Networking, and the UNWTO and WTM Ministers’ Summit. A tourism delegation promoting the best of Abu Dhabi ended its first leg of a two-city tour to India in Mumbai. Led by the Department of Culture and Tourism – Abu Dhabi, partners and stakeholders, the tour showcased the attractions, culture and heritage across all three regions of the emirate in a first of its kind ‘Abu Dhabi Week in India’. The three-day event at MMRDA Grounds – Bandra Kurla complex in Mumbai attracted thousands of visitors, trade officials, tour operators and media. Since the start of the year until the end of September, 256,418 Indians stayed in Abu Dhabi’s 163 hotels and hotel apartments, making India the second largest international source market for tourists. It is expected that the format of ‘Abu Dhabi Week in India’ will become an annual event with more cities added to the itinerary as the Department of Culture and Tourism – Abu Dhabi seeks to increase the number of annual inbound Indian hotel guests even further. With the launch of the fifth ACE of MICE exhibition by Turkish Airlines in Turkey, the third largest congress, meeting and events exhibition in the world from February 21-23, 2018, Istanbul will once again become the focus of the international MICE industry. The event will be held at Istanbul Congress Center with the motto of previous year ‘MICE industry convenes with all of its colours!’ Held every year by the Tourism Media Group organisation, the exhibition will see 746 hosted buyers from 39 countries flock to the city. Over 9,791 business to business (B2B) meetings have been arranged, along with 220 national and international exhibitors, 19 sessions, 35 speakers, 160 sponsors at the event. Over 15,000 domestic and foreign visitors are expected to witness the event. According to the International Congress and Convention Association (ICCA), Turkey is among the top ten of the world’s meeting destinations. The country ranks 18th globally as a growing destination for MICE tourism. 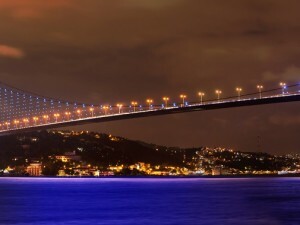 Turkey is exceptionally well positioned as a destination for the MICE industry, both in terms of trade and culture. 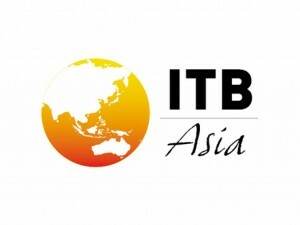 Celebrating its 10th anniversary, ITB Asia 2017, Asia’s leading travel trade show kicked off at the Sands Expo and Convention Centre in Marina Bay Sands, Singapore. Over 940 exhibitors from 951 buyers from MICE, corporate, leisure and other sectors with over 11,000 delegates will attend the event. 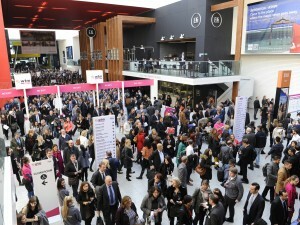 The programme will feature its strongest line-up of exhibitors and speakers, as well as many firsts for the travel trade show. While African and Russian markets make a strong showing at this year’s show, North Asia features prominently with a strong showing by Japan and South Korea. Running parallel with the exhibition, the conference programme will look to ‘The Future of Travel’. The three-day conference presents an extensive programme of presentations and discussions. A two-day keynote line-up features IBM Asia Pacific and Google on the latest trends in Artificial Intelligence, Ctrip on its global strategy as well as a panel with leading online travel agents.